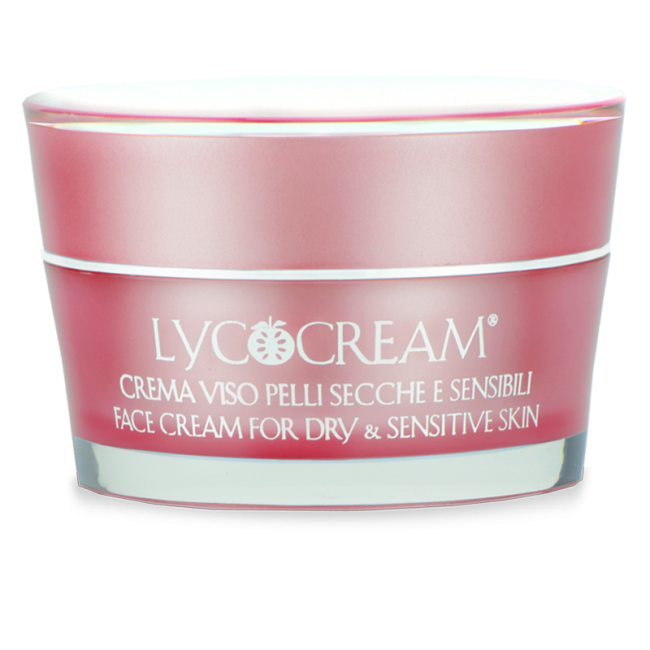 Face cream specifically formulated for dry, sensitive, dehydrated skin, prone to irritation and crack. 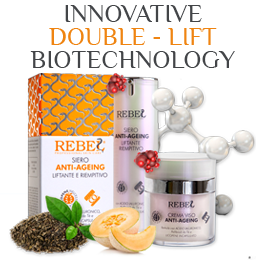 Apply at morning and evening on clean facial and neck skin. Excellent makeup base. Paraben Free, Mineral Oil Free. Nickel Tested. Cruelty Free. 50 ml Vase. 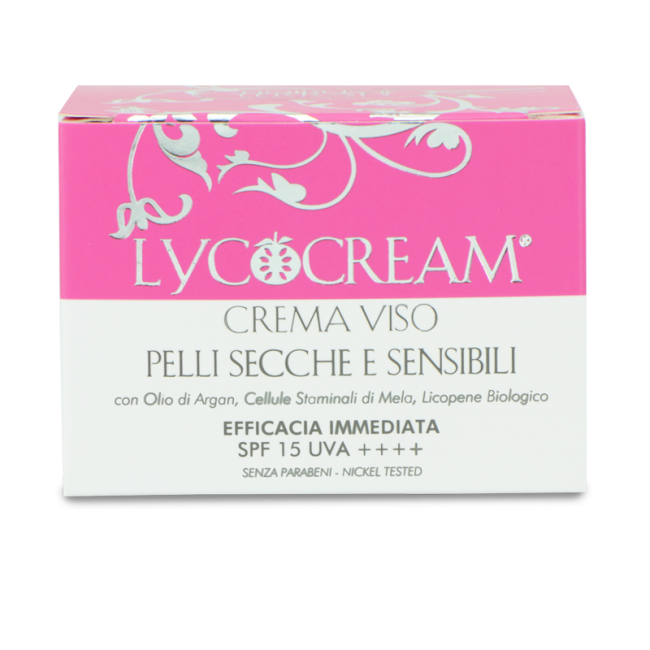 Finibus Terrae Face Cream for Dry and Sensitive Skin is specifically formulated for dry, sensitive, dehydrated skin, prone to irritations and crack. 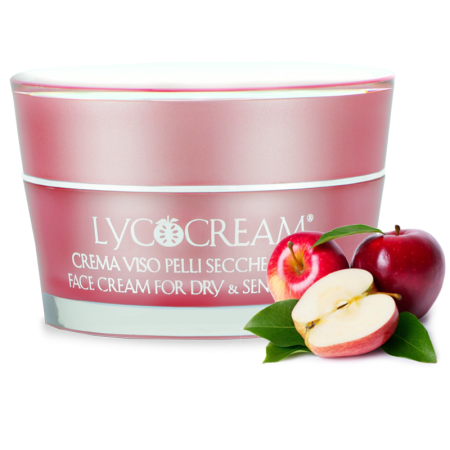 The synergy between Apple Stem Cells in liposomal formula and Low Molecular Weight Hyaluronic Acid reduces wrinkles, improves the compactness of the tissues, rejuvenate the facial and neck skin keeping unchanged the regenerative properties of the cells. 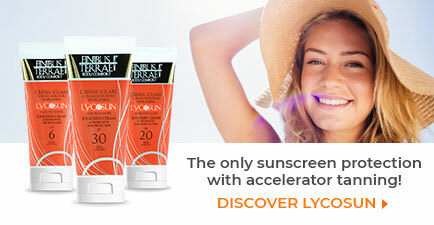 Argan Oil, Karite’ Butter and Aloe Vera moisturize and deeply nourish the skin. 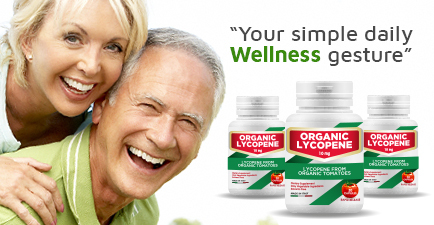 Lycocerasomes protect it from the destructive effects of the free radicals. How to Use: Apply at morning and evening on clean facial skin and neck. Excellent makeup base. Paraben Free, Mineral Oil Free. Nickel Tested. Cruelty Free. Aqua, Prunus amygdalus dulcis oil, Ethylhexyl methoxycinnamate, Argania spinosa kernel oil, Butyl methoxydibenzoylmethane, Cetearyl alcohol, Butyrospermum parkii butter, Glyceryl stearate, Potassium palmitoyl hydrolyzed wheat protein, Aloe barbadensis leaf juice, Lycopene, Malus domestica fruit cell culture extract, Bisabolol, Sodium hyaluronate, Parfum, Glycerin, Tocopheryl acetate, Retinyl palmitate, Triticum vulgare seed extract, Benzyl PCA, Sodium hydroxide, Carbomer, Alpha-isomethyl ionone, Butylphenyl methylpropional, Coumarin, Hydroxyisohexyl 3-cyclohexene carboxaldehyde, Linalool, Lecithin, Limonene, Citronellol, Geraniol, Xanthan gum, Hydroxycitronellal, Phenoxyethanol, BHT.